Blueseventys aim is to help you swim faster. 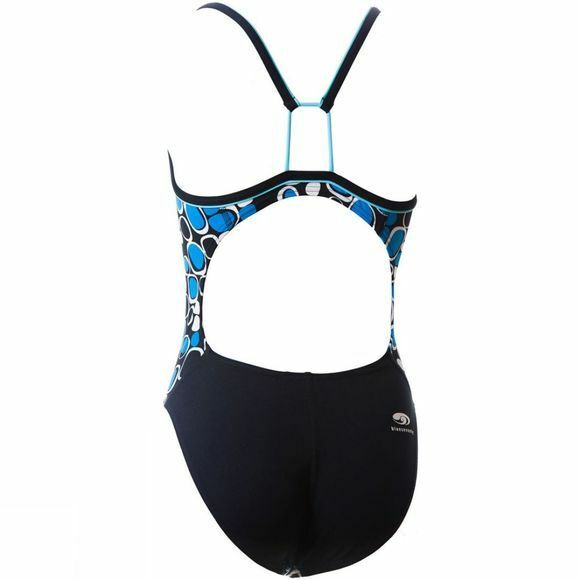 The Loop Dot line uses swimmer inspired flattering designs, long-life Darwin fabric and stylish cuts to deliver performance and durability without having to sacrifice comfort. 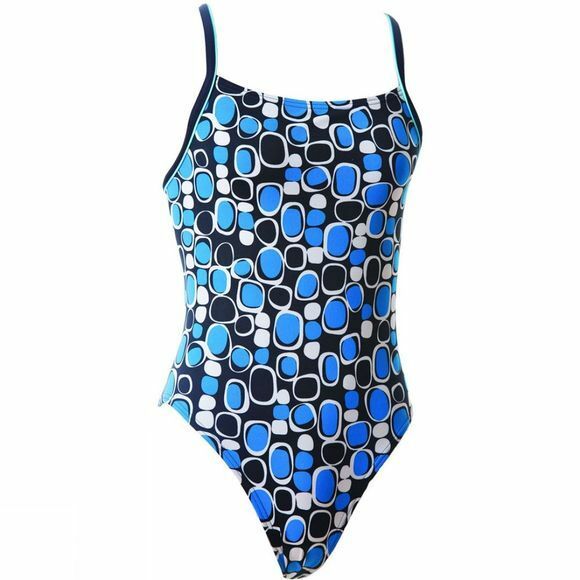 Loop Dot is made of super-soft 100% polyester which have a little more stretch in them than other chlorine resistant fabrics, Blueseventy recommend you go for one size smaller than what you would normally buy in other durable, chlorine resistant training suits. It will retain brightness as well as shape for many training sessions to come.